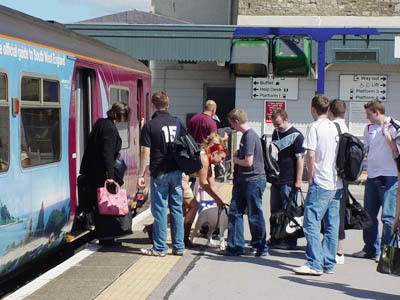 The franchise for operating the TransWilts service through Melksham (or rather not operating it as the service is to be withdrawn) has been awarded to the First Group, who are paying the Government a total of 1 billion pounds over the next 10 years. Their Press Release. The service on our line, and trains to and through Melksham, are NOT mentioned in the press release nor on the parallel announcements (first and second) from the Department for Transport. Instead of 68 trains a week, we'll be cut to 20 - up to Swindon on Monday to Friday mornings, a return commuter train at the end of the day, and a further evening round trip. Weekend service - withdrawn. Early train - withdrawn. Through services to Salisbury and Southampton - withdrawn. Trains into Melksham at 09:12 and out at 17:02 (that's the one that really effects me personally) - withdrawn. But we have one last opportunity to influence the First Group and persuade them to lay on a realistic service. They're in this for the profit and they could make a profit on the line. How? 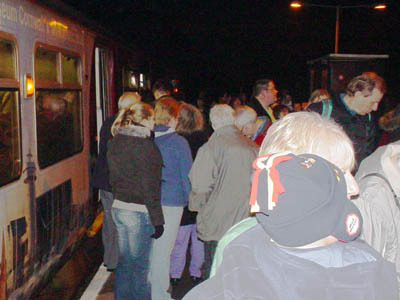 By operating a frequent, reliable service even though it still uses just the same one-coach train we have at the moment. Evidence? Bradford on Avon is a town that compares to Melksham. It's much smaller, but it sells 10 times the number of train tickets ... for a more frequent and reliable service. Open Letter to Alison Forster, Managing Director, First Great(er) Western. 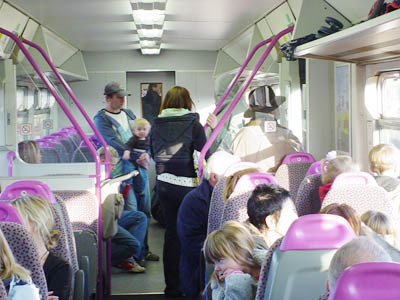 Pictures - The Melksham Train - WEEKEND services (to be withdrawn) are shown.